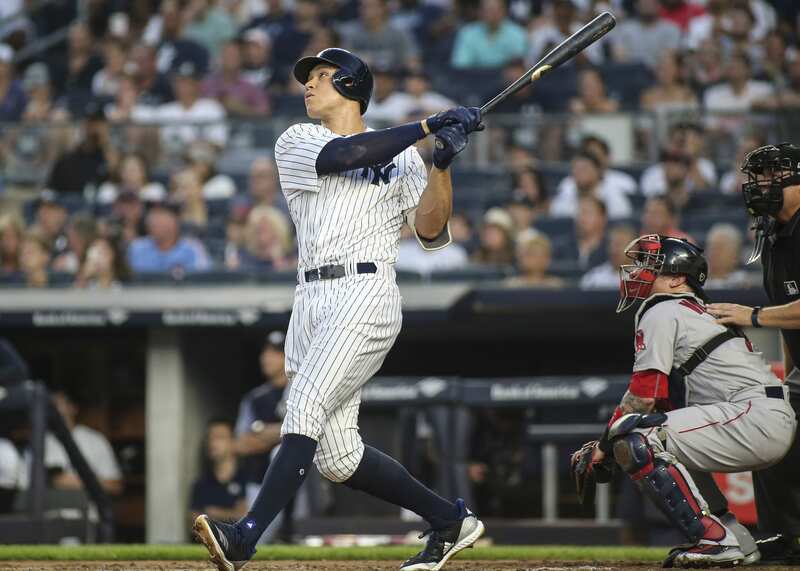 Predicting what the New York Yankees batting order might look like in 2019 is difficult, simply because there are still several moving pieces that are holding back the establishment of the starting units. We will take a more conservative approach with the first potential lineup. Now, the lineup will likely fluctuate as the year progresses, but I wouldn’t be surprised to see the order shake out to look something like this come opening day. A similar look with Andujar slotting into the No.3 spot with Didi Gregorius healing from Tommy John Surgery. I like Andujar earlier in the lineup, as he was a solid contact hitter in 2018 – .297 BA. He has the power to help a slugger-centric top of the order but can also get on base (.855 OPS) effectively. Fitting him in between Judge and Stanton would increase the probability of a base-runner and therefore more runs-per-game. Keeping Gary Sanchez at No.5 should help his confidence and keep him in a position to hit for power after a strikeout-heavy Stanton in the cleanup spot. This order would promote a beginning to middle slug-fest, offering a total 125 homers between No’s.1-5 in 2018. With a full season together, I would expect this number to grow considerably, and if the Yankees want to focus on their power, this would be the lineup to go with. The mantra for last season was, “home runs keep the wheels churning.” This ideology brought the Yanks all the way to the ALDS, just to be plastered by a talented Boston Red Sox pitching corps. The lineup needs more diversity and contact hitters earlier in the order. What would your ideal Yankees lineup look like? Comment below!